In the short space of time that I had interacted with Chef Yenni Law, I found that I enjoyed her company very much. Oh she was quick to tell me to quit calling her “chef” and insisted that I just call her by her name. I met Yenni for the very first time at the media launch of her cookbook “Meatology” at her restaurant, Boathouse in Taman Tun Dr Ismail, Kuala Lumpur. Yenni was in the midst of an interview when I spotted her and I thought she kinda looked a bit ill-at-ease when the cameras pointed at her. She later surprised me with her smooth delivery when she welcomed members of the media to her event. In her calm measured tones, she related some of her experiences in her culinary adventures with wit and charm. Through her smooth articulation (a skill I seldom encounter in chefs), her passion and love of food and cooking shone unwaveringly. 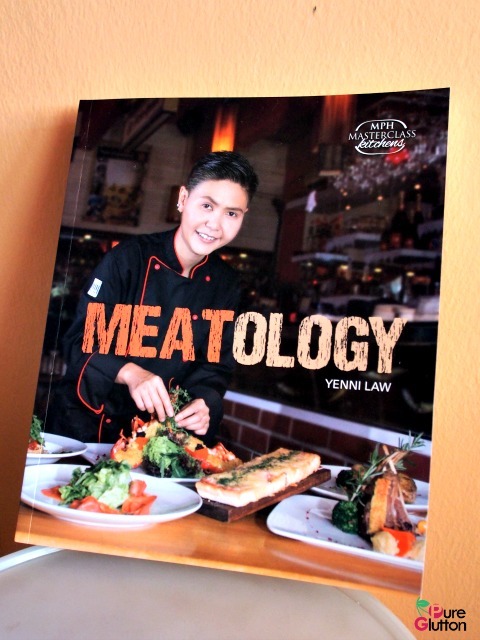 Yenni Law’s “Meatology” took much longer to complete than most of the other cookbooks in MPH’s Masterclass Kitchen series – a fact that Yenni herself admitted with little apology. This was largely due to her perfectionistic streak that somehow led to her decision to revamp the line-up when she was more than halfway through. 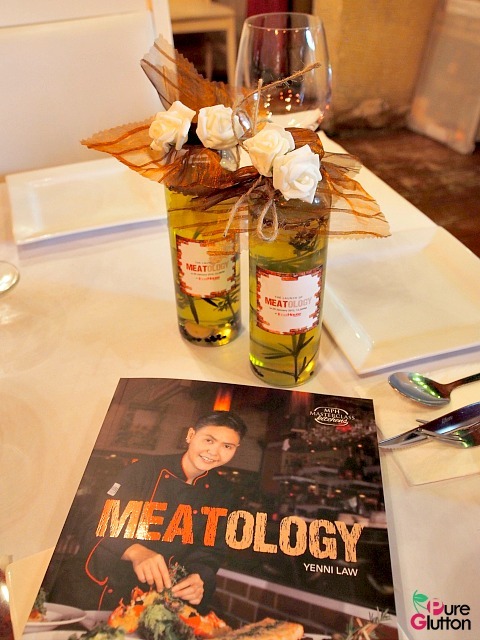 Many of the recipes in “Meatology” are new creations she came up with in the process of revamping her restaurant menu. The book does contain a treasure trove of innovative and creative dishes which are influenced by Yenni’s travels and her experiences in gastronomy. You have to read the book to appreciate this gutsy chef’s passion and tenacity in her culinary journey. I must say I’m so inspired by her perseverance and her drive to achieve what she set out to, ever since she was tall enough to clamber up a stool in her mother’s kitchen to fry her first egg. Yenni’s book is all about her favourite dishes, that centre around meat and seafood. 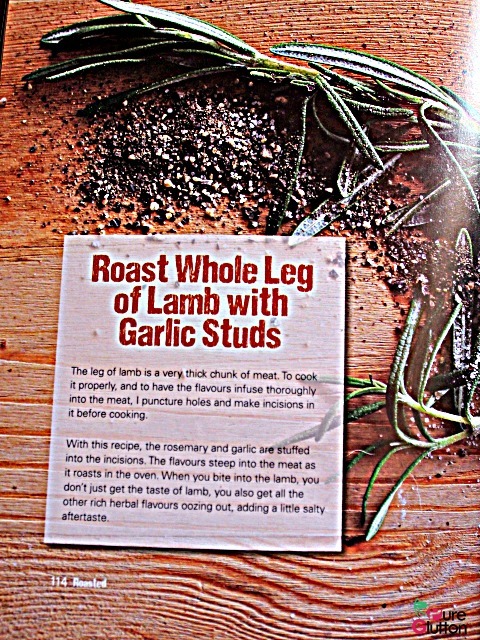 I like how she has thoughtfully included comprehensive notes (“tricks”, as she put it) and photos on how to prepare the meats prior to cooking. 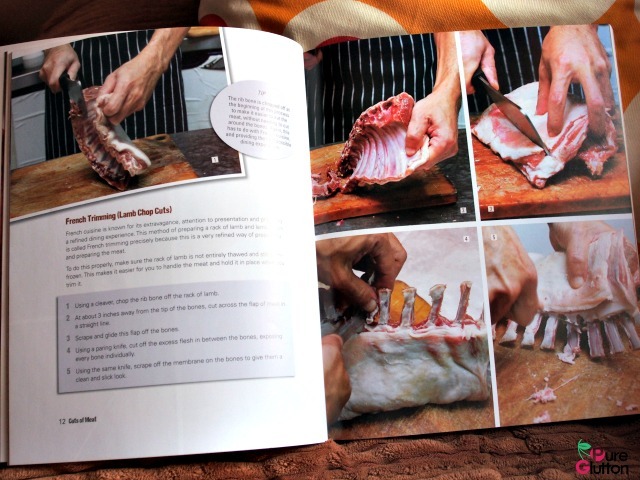 Pages have been dedicated to “Trimming a Tenderloin”, “Filleting a Salmon” and even “Cutting a Chicken” the right way, of course. There are also tips on the equipment and utensils to use in a functioning kitchen. And if you want to know the difference between “carre”, “macedoine” and “brunoise”, you just have to turn to page 23 of the book! A great feature of “Meatology” is Yenni’s thoughtful explanations of every dish – there are explanatory notes before each recipe is elaborated. The recipes are written in a clear, concise fashion and I can see that Yenni has put in much care and thoughts in the instructions. She has included precautionary notes, what not to do and alternatives that work equally well. 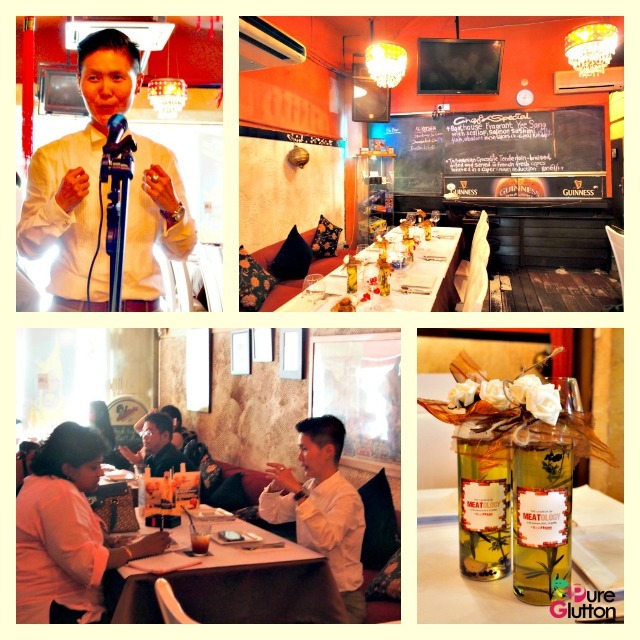 At the media launch, we were treated to several dishes that are featured in “Meatology”. Beef Prosciutto with Rocket & Apple was a great starter. 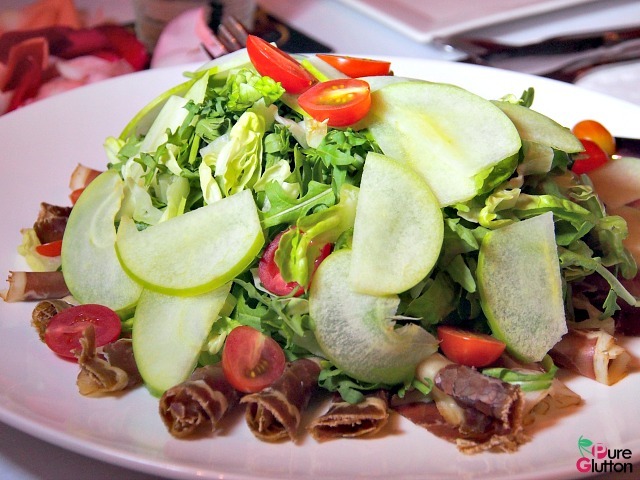 The beef proscuitto was cured in-house for this dish. There’s a big burst of flavours on the tongue as the salty beef prosciutto mixed with the pleasantly pungent rocket and crisp apples and not forgetting the tangy balsamic vinegar dressing. Then we had a second starter, something which Yenni herself personally liked – Braised Black Mussels in Spicy Tomato Concasse. It quickly became my favourite too. 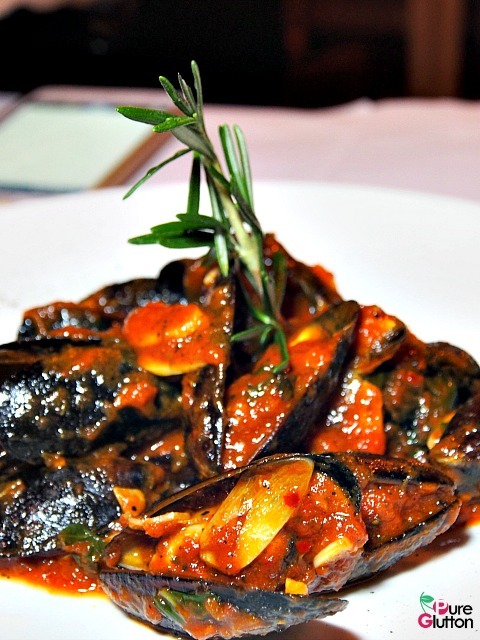 I love black mussels and this preparation with tomato concise gave the mussels a nice tangy nuance that balanced very well with the natural brininess of the shellfish. We had tasting portions of 3 mains: Smoked Duck Risotto & Ceps, Baked Roulade of Chicken Breast with Brown Mustard Cream and Grilled Lamb Cutlet. I’ll be honest to say that I am not a risotto fan but I found Yenni’s version to be pretty good. The grains were cooked through and still al dente, delicately perfumed by the ceps and the deliciously gamey smoked duck sealed the deal. I was quite surprised myself that I actually ate up all the risotto! Both the chicken roulade and lamb cutlets were excellently executed and it’s rather hard to choose between them actually. The thick cutlet was grilled to a nice juicy medium- well and the aubergine gremolata was a genius touch. That, and the crunchy walnuts and olives brought the whole taste structure to different level. I’d happily order this in Yenni’s restaurant any time. Yenni’s Chicken roulade recipe uses breastmeat and I’m not an ardent fan of that cut. However, when I read her recipe on this, I must say I am inspired to try that out soon. It’s not difficult to execute and it will be an impressive dish to serve to guests. It looked so pretty too, drizzled with raspberry relish with brown mustard cream by the side. 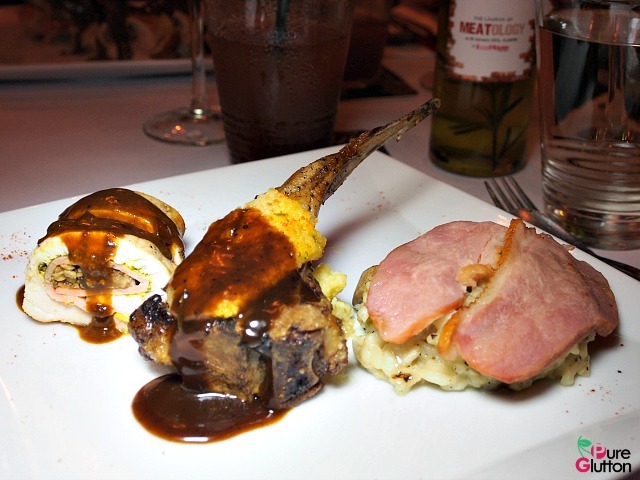 The meat theme was taken a step further in Yenni’s dessert of Poached Pear with Cream Cheese and Smoked Turkey Breast Stuffing. 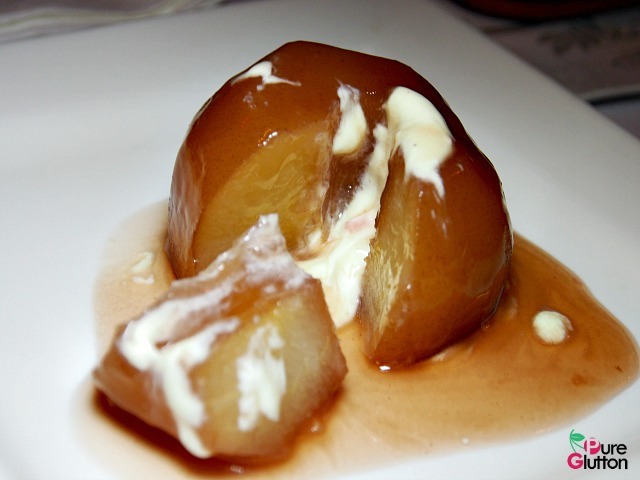 It’s a quirky marriage of sweet and savoury nuances in this typical French dessert. 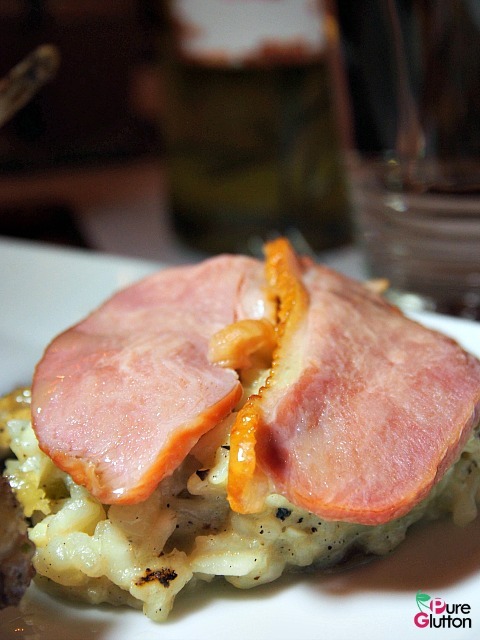 Yenni’s playful use of brunoised turkey ham gave a delicate smokey touch to the smoked pear and the cream cheese crowning it enriched the flavours and mouth feel further. 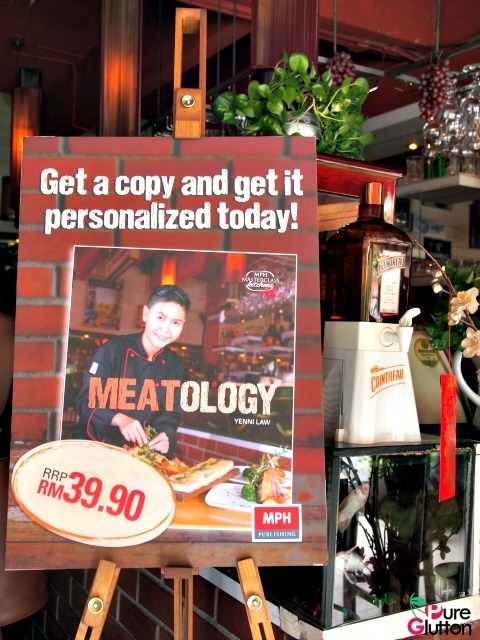 You can grab a copy of “Meatology” from MPH Bookstores and other major book stores too at RM39.90 per copy. Trust me, you’ll be enthralled by the innovatively simple and fun recipes created with such passion by Yenni.